I enjoy playing with my food a lot, so why not spend some time playing around with drinks. 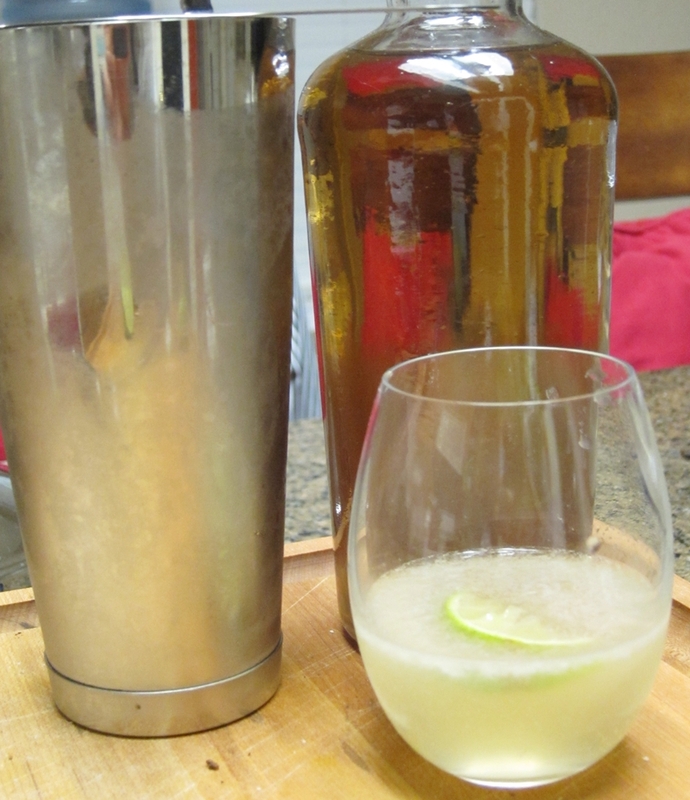 It’s really a pleasure to come home from work and take five minutes or so to make a proper cocktail at home. My regular indulgences include classics like the Old Fashioned, Sazerac, Negroni and a gin Martini (with 3 olives please). This Bananas Justino is a bit more involved than those drinks. 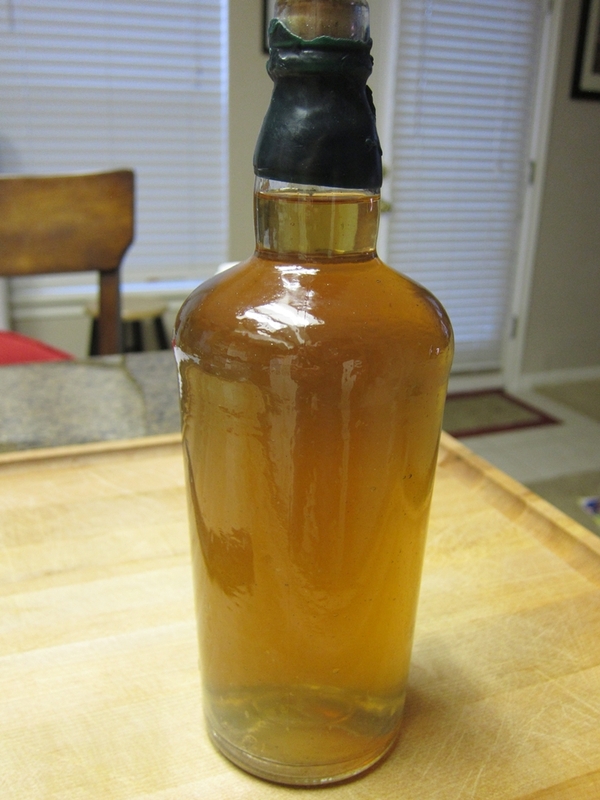 The idea for the drink comes from Dave Arnold at Cooking Issues, a fantastic blog and podcast for those curious about food and cooking. Dave uses a centrifuge to spin a blended mixture of banana, rum, vanilla beans and Pectinex SP-L. The Pectinex is an enzyme that breaks down cell walls…I think. You know those neatly “peeled” orange segments you get in a cup from the supermarket? All their peels are removed using a similar enzyme. Cooking Issues has much more information about that here. Once the mixture is spun in a centrifuge everything gets separated by density. So you end up with a sludgy sediment of all the solids and a crystal clear liquid with all the flavor (and booze) in it. That’s a very neat trick. The final clear rum smelled of bananas and vanilla and tasted just as good. I used it to make two drinks so far. 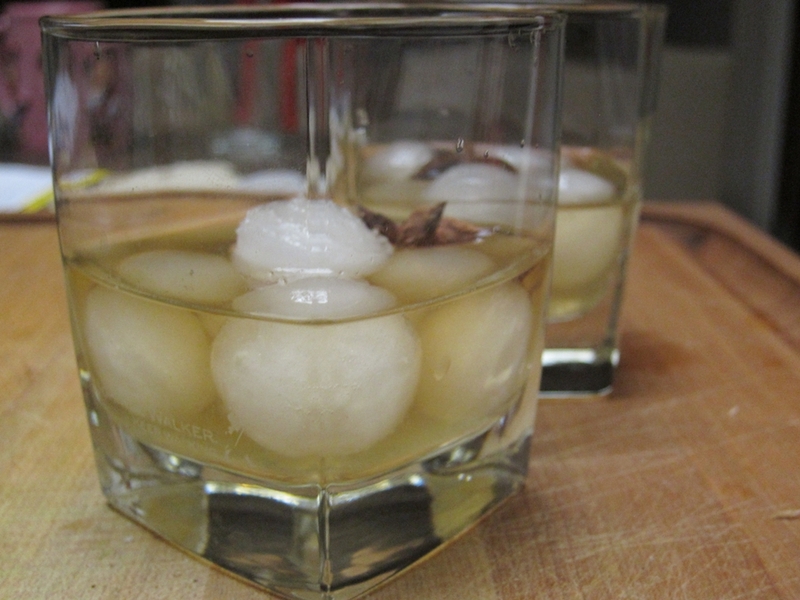 The first was Bananas Justino (the picture opening this post) with lime juice, coconut water ice cubes and star anise. The other (pictured above) was a classic daiquiri with lime juice and simple syrup. Both were wonderful and I still have enough booze for a lot more of them. 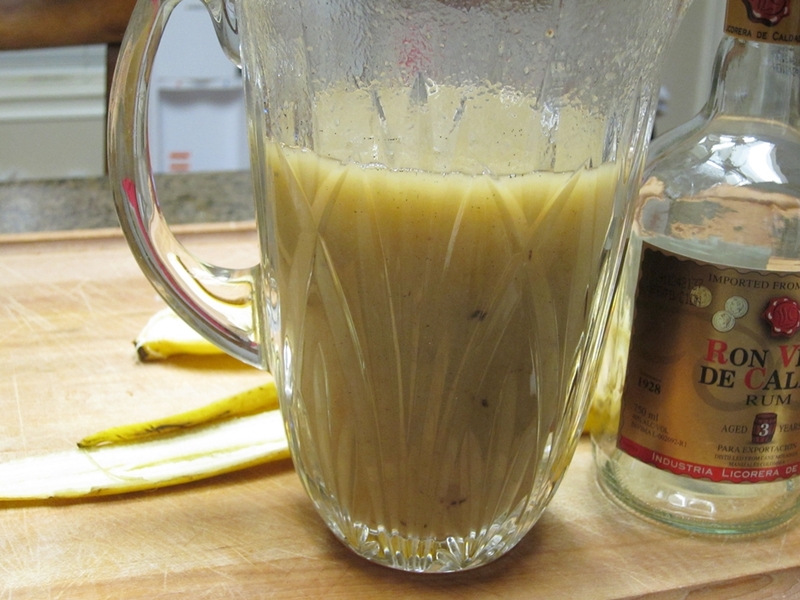 So it’s about 3 bananas per 750 ml bottle of rum. It only needs to sit for 20 minutes or so before clarifying. If you have any more specific questions, let me know. Good luck! I’ll give it a try. Regards.